The library is open to all pupils and staff during class time when it used by timetabled English classes and by individual pupils. 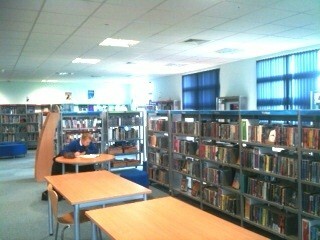 The 21 library PCs can be booked by staff to be used by classes. Any spare computers can be used by senior pupils during study periods. The library is open at lunchtime from 1.25pm when pupils can use the library for recreational reading, to do homework or to use the PCs. The library is also open after school until 4.30pm on Mondays, Wednesdays and Thursdays to give pupils the opportunity for quiet study or to catch up on homework.